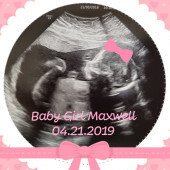 Thank you all for your love and support while we welcome our second baby girl into this world. As almost 5 years has passed since Ella joined our family, we are in need of some items that we have either gotten rid of, passed on to friends/family, or have been worn out over time. We are so excited to welcome sweet baby Abigail into our family and to celebrate with our family and friends.